When food is art and a pastry chef is the creator, you know you’re onboard the Azamara Quest, an Azamara Club Cruises luxury liner. Meet Lloyd Rodrigues, the genius orchestrating the baked bites of heaven that accompany every meal while at sea. He and his crew of nine provide the vast and varied array of breakfast, lunch, and dinner treats. It’s impossible for me to choose a "masterpiece" from the seemingly nonstop menu of desserts and pastries. But Chef Rodrigues describes the Limoncello Soufflé as "light, beautiful, and everyone loves it." (I know I did!) 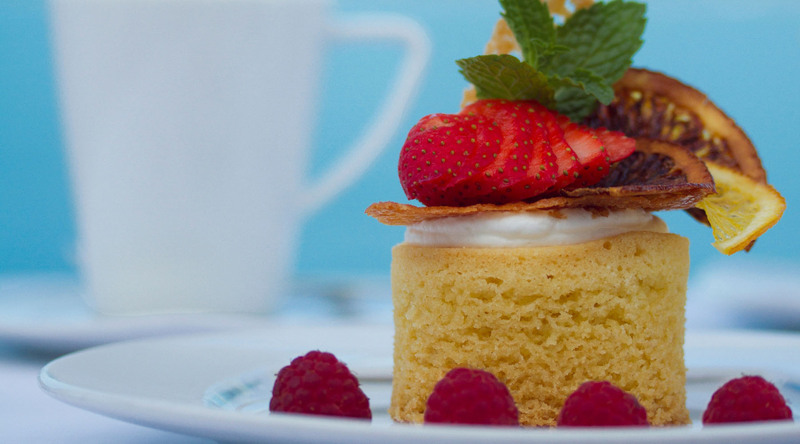 He also names the Limoncello Soufflé as a favorite of the Prime C, the onboard specialty restaurant. There’s something so special about such deliciousness coming from so few ingredients. A purity of sorts. Some may call it cooking chemistry; others may call it culinary magic. I say it’s both. Not sure if the salt air of the high seas adds a bit of seasoning. I will just need to cruise with Azamara again so I can be sure about this delicious piece of art.